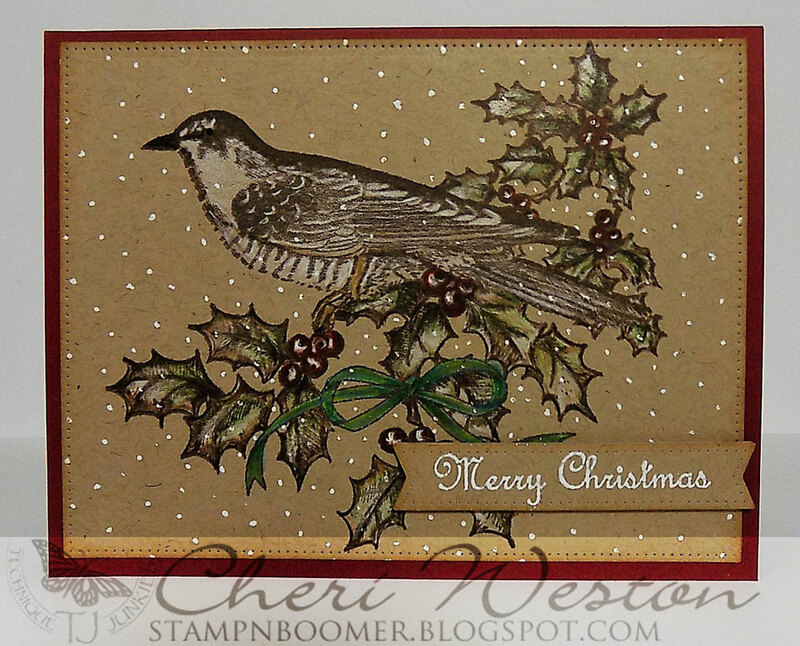 I hope you're all not tired of seeing Christmas cards yet...I love this stamp "Holly Bird" (from the September 2017 release) and I just wanted to color him with PrismaColor Pencils on kraft cs and see how he'd turn out, and I really like it. What do you think? The sentiment is "Merry Christmas 2" , one of my faves because of the font and the size. After coloring the bird, ribbon and holly with the PrismaColor Pencils, I added "snow" with my white gell pen in the background as well as on some of the berries and leaves. The sentiment was heat embossed with white ep. Good news! The Featured challenge "Gradient Sponging" has been extended through January. You've got more time now to play along with this challenge and win some TJ Stamps. You can check out the details HERE and join in on the fun! I don't know how much longer the 35% off sale will last, but it's still going on for a select number of Technique Junkies Stamps. Here's a great opportunity to grab some of these stamps at an awesome discount. 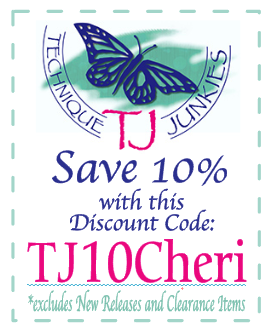 Want a 10% discount on any other stamps from the store, please use my code and enjoy your purchase. I love this on Kraft. It looks so festive. Cheri- You did a great job coloring this bird. It is gorgeous! Beautiful soft colouring here SS. 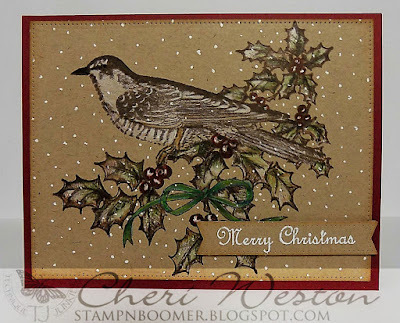 Love that sweet bird on kraft.